As your baby grows into a toddler, we help them grow even further in their swimming confidence. The aim of this level is to build confidence in your pre-school child. This is achieved by using arm bands and floats to encourage your child to learn to swim on their own. To work on the techniques gained at pre-school lessons and to improve your child’s strength and stamina. There are only 6 children to a class to ensure each child received enough attention. This level is specially designed for children who are still using armbands, but have gained confidence in the water. At this stage, students should be confident enough to swim with no arm bands. The lessons are still 4 to 6 in a class to ensure students get the focus and attention they need. This level is for our more serious swimmers. The children are encouraged to swim from 45 minutes to an hour as well as reinforcing their stamina. Calling all adults! 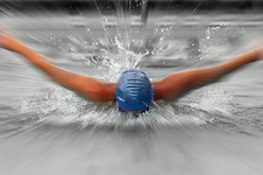 Need to learn to swim, improve your technique or simply get in shape? We have the classes that are tailored perfectly for you. We encourage people of all ages and abilities to learn to swim to a high standard. 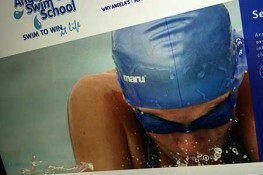 Angela’s Swim School is currently offering lessons at three lovely locations in the Maidstone area. The Mercure & The Hilton Hotel & also at the Boughton Monchelsea Primary School. To find out more information about our lessons simply call us on 07703 185837 or use the contact page below to send us an email. My name is Jenna Pembroke and I am the owner of the territories of the Sevenoaks and Maidstone & Tunbridge Wells franchises of Angela’s swim school. I learnt to swim with Angela’s Swim School and believe the unique teaching methods helped me to become a successful swimmer. I have a great passion for swimming and want to encourage others to share this with me as it is such a good sport to be part of. 30 minute weekly lessons - You can join us at any point during our term, please call for prices! Sign up here to receive latest news and special offers! To book your swimming lessons please contact us via phone 07703 185837 or email maidstone@angelasswimschool.co.uk Alternatively complete the form below and we will contact you! We look forward to hearing from you. 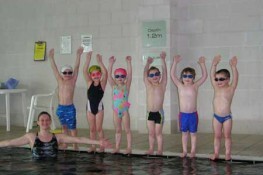 Angela’s Swim School is proud to teach from over a dozen locations, nationally and internationally. Find your nearest swim school now. Keep up with all the latest news, views, opinions and facts from the world of swimming here at Angela’s Swim School blog. Growing out of Angela Wilson’s passion for swimming combined with her desire to see others achieve their goals, Angela’s Swim School was born. As well as being passionate about teaching children to swim with style, Angela’s Swim School is also dedicated to helping others succeed in business.